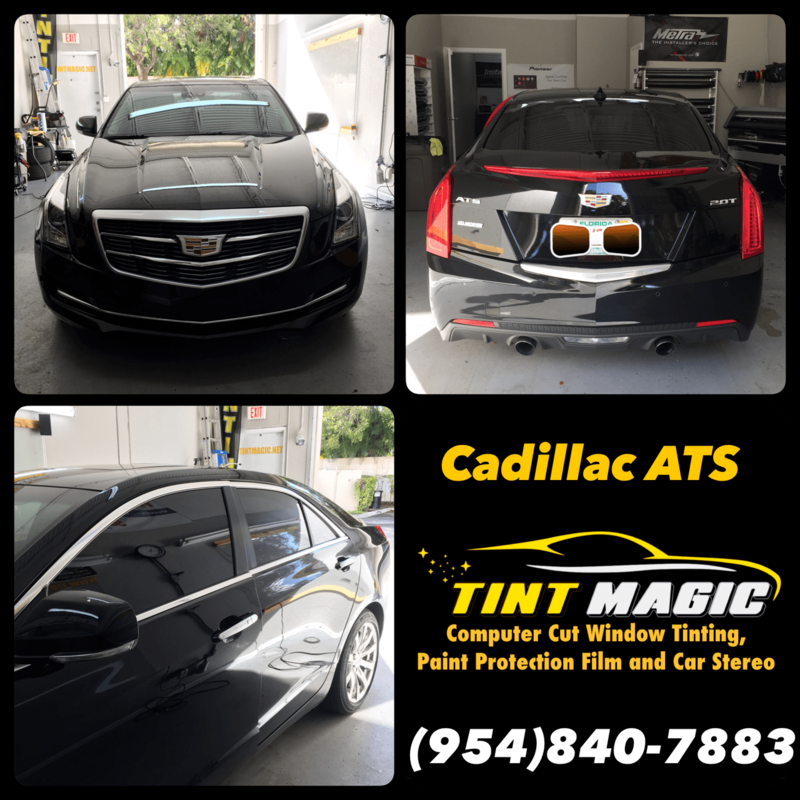 Cadillac ATS at Tint Magic Window Tint serving Coral Springs, Parkland, Tamarac, Coconut Creek, Sunrise, Weston, Margate. We have applied SunTek CXP 18% all over around for the best heat rejection and UV protection. Call us for the best quality and service! (954) 840-7883. The Phantom Gray 2017 Cadillac ATS Premium Performance model you see here has all the right stuff to be a world-class sports sedan: a solid, lightweight platform; rear-wheel drive; a high-revving 3.6-liter V-6 with 335 naturally aspirated horsepower; a snappy eight-speed automatic transmission; adaptive, adjustable magnetorheological dampers; a limited-slip differential; and staggered-width summer tires. Stir in options such as the V-Sport red-painted Brembo calipers with slotted rotors and upgraded pads, performance exhaust, a sport suspension upgrade, and an interior richer than a Parisian house of ill repute, and we’ve got ourselves a four-door Chevy Camaro V-6 in a Hugo Boss suit. Or at least that’s what it should have been. Despite that impressive arsenal of equipment, this Cadillac turned in a rather mediocre performance. Not what we expected from a car that seemed to be just a pair of turbochargers and a brace of Recaro seats away from being an ATS-V.